Estelle Brachlianoff leads our combined water, waste and energy business in the UK & Ireland. She was appointed to this role in July 2012 and also sits on the Veolia Executive Committee. 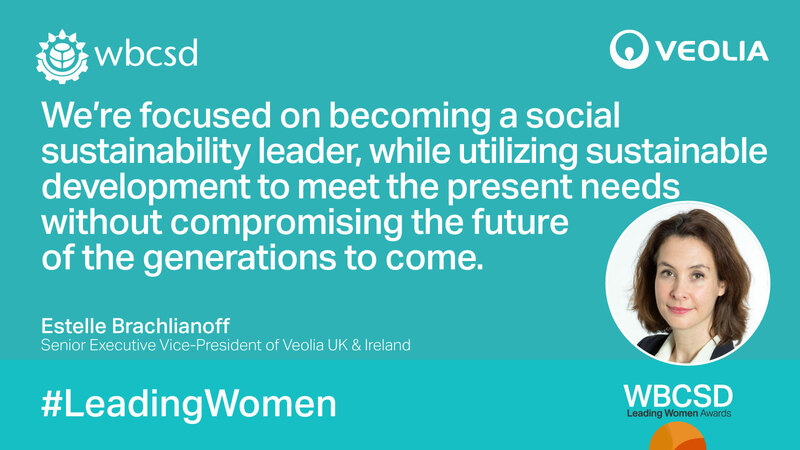 Estelle joined the Veolia group in 2005 as Special Advisor to the CEO of Waste Management. Prior to her current position, she was in charge of Waste Management in the Greater Paris area and also the Facility Management and Cleaning Services branch. She started her career heading a team managing major infrastructure projects and constructing highways and tramways within the Val d’Oise region of Greater Paris. She was then appointed as Advisor to the regional government in Greater Paris responsible for transport and development. Estelle was elected as President of the French Chamber of Great Britain, the largest Foreign Chamber of Commerce in the UK. She sits on the Infrastructure Board and President’s Committee of the Confederation of British Industry (CBI). Estelle was awarded the CBI’s’ First Women Business of the Year’ Award in 2014 and was knighted in 2015 receiving the French National Order of Merit. Estelle is married and has two children.